Our eyes are our windows to the outside world. Sometimes we take that them for granted, but did you know that you can take steps to be proactive to help keep them healthy? USANA's Visionex product will be appearing on the Dr. Oz show on February 23rd. Be sure to check it out! USANA Visionex helps to provide the nutrients you need to help maintain proper eye function with antioxidant nutrients like blueberry extract, Vitamin C, and zinc with helps to counteract free radical damage. Our eyes can take a toll daily, from air pollution, dryness and oxidative damage from the sun, to bright lights we're exposed to on a daily basis. 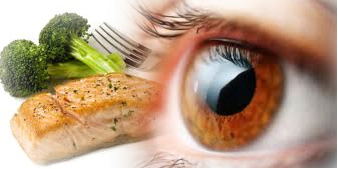 In order to combat these effects that our eyes are put through, its important to make sure that our eyes are given the proper nutrients to give it the best shot to fight free radicals. Our eyes are like any other organ within our body. They can benefit from receiving the proper nutritional supplements. And be sure to check out this product on the Dr. Oz show on February 23rd.